"We've seen the light. And it's awesome. Kids will beg you to turn off the lights because that's when Glo really shines. 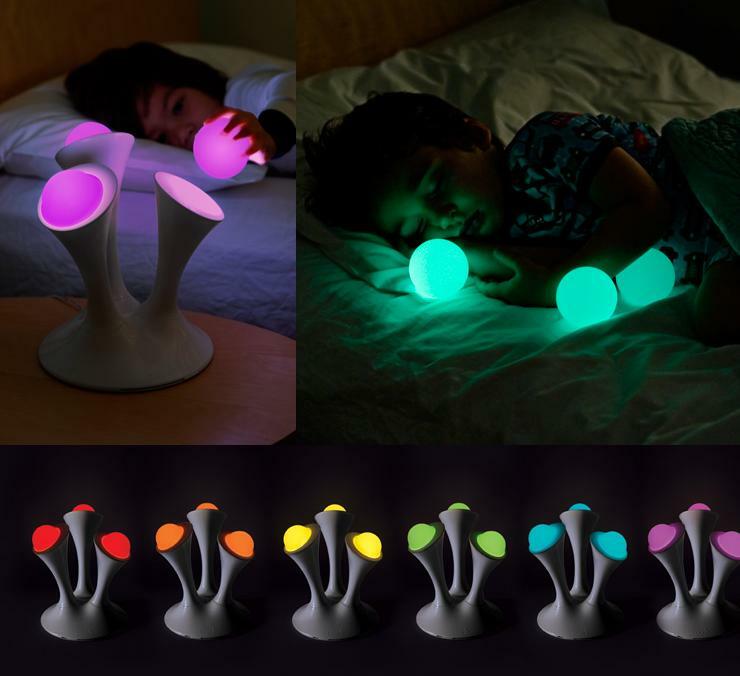 This multi-colored, interactive nightlight has removable, illuminated Glo balls that turn a night time game of catch into something extraordinary. And there's nothing electronic in them, so they don't get warm and they won't break. You can even tuck them into bed with your child. The glow fades to dark after 30 minutes, helping them fall asleep. Bonus: 95% effective at keeping monsters away all night long." Check out more/buy it HERE.